Carbon emissions don’t just damage the local environment. The pollution generated by UK businesses has a serious effect on people all over the world, causing water shortages and widespread hunger in developing nations. The Carbon Directory is committed to helping those people who are affected by the actions of British businesses. That’s why we’re raising funds for Port Reitz School in Kenya. 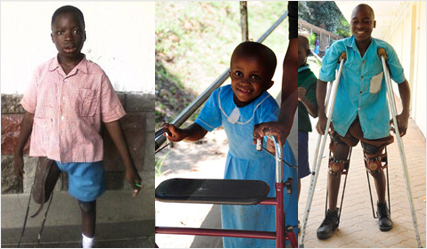 Port Reitz School is dedicated to supporting disabled and disadvantaged children in Mombasa, Kenya. But because of the effects of climate change on the Kenyan environment, water for food and building purposes is hard to come by. The school need to raise money to build a wall which is vital for the safety and security of the school, the children, and their precious vegetable garden and livestock. This may not seem like a huge project, but the wall requires cement, which is prohibitively expensive due to the amount of fresh water required. Without this wall, the equipment and food needed to ensure these children’s quality of life may be damaged or stolen. Which is why we need your help to raise £50,000 for the school. Whether you’re offsetting part of your businesses emissions or go completely carbon neutral with The Carbon Directory, £1 from every payment we receive is donated to Port Reitz School. We passed the £11,000 mark in November 2011, and the school has already invested the funds that UK businesses have raised for them. 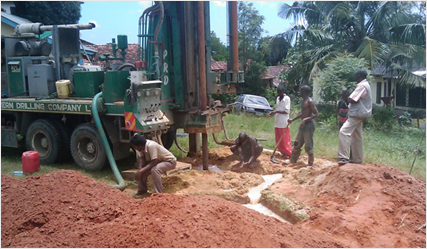 The school drainage system is now working for the first time since 1965, and the dormitory blocks now have fully functioning showers. This might not seem like a luxury, but the fact that the Port Reitz School now has something as basic as flushing toilets is a sign of just how important our partnership with them is. Do your part for the environment and the children of the Port Reitz School. Have your business listed in The Carbon Directory. 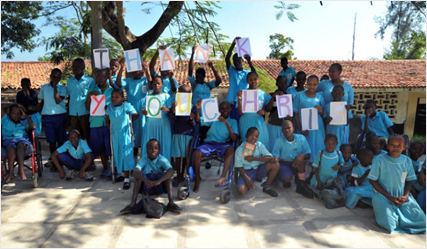 Then once we’ve helped Port Reitz School we’ll work together to help more charitable causes in the UK and overseas. Did you know that the UK emits more carbon dioxide every year than Australia and New Zealand combined? Make a start on saving the environment. Do your bit for the environment by offsetting all your carbon emissions.